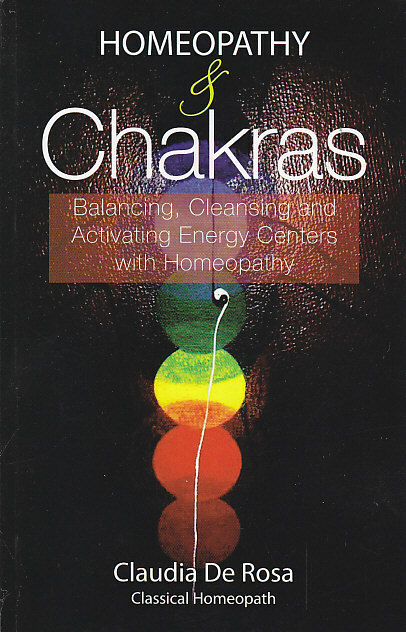 In Homeopathy and Chakras, Claudia de Rosa melts the homeopathic thinking into the chakra system. Writing in a simple and clear way, she uses pictures and diagrams to make things even more easy and interesting. Categories: Health, Health and Medicine, Homoeopathy, Kundalini and Chakras, Mind, Body, Spirit. Tags: homeopathy, 9788131918296, alternative medicine, alternative therapy, chakra therapy, chakras, complementary medicine, complementary therapy, health, homeopathic medicine, homoeopathic medicine, homoeopathy. Homeopathy is a dynamic medical art and science. The remedies act on the physical as well as mental plane. In Homeopathy and Chakras,Claudia de Rosa gives an introduction to the chakra system (energy, Kundalini and detailed description of each chakra), Vital Force, Susceptibility, miasms, personality types, endocrine system, colour energy and healing and places them on this map creating an interesting connection between homeopathic remedies and energy centres. She explains how to use them creatively, how to balance energy centres through chakra centres, colour energy and homeopathy, in theory and in practice.